The temple complex was built in 1863 by the then burgeoning Chinese population in and around the town of Oroville [located in Northern California]. 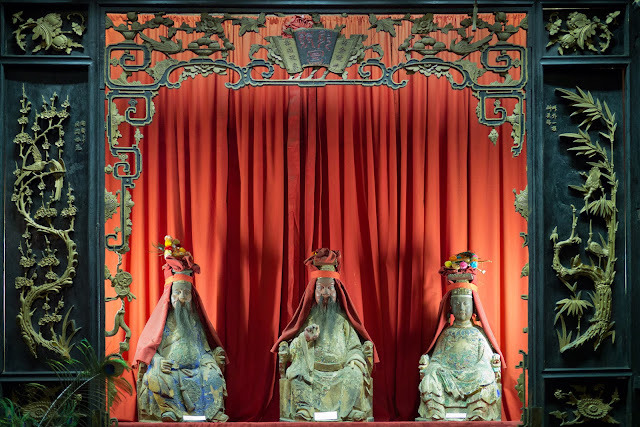 This alter [shown], located in the Chan Room, is dedicated to Confucian meditation. The temple also houses rooms for Buddhist meditation and a council room that served the civil and cultural needs of the community. The temple now acts primarily as a museum and additional buildings have been added to house artifacts and art relative to the history of the area's Chinese community.